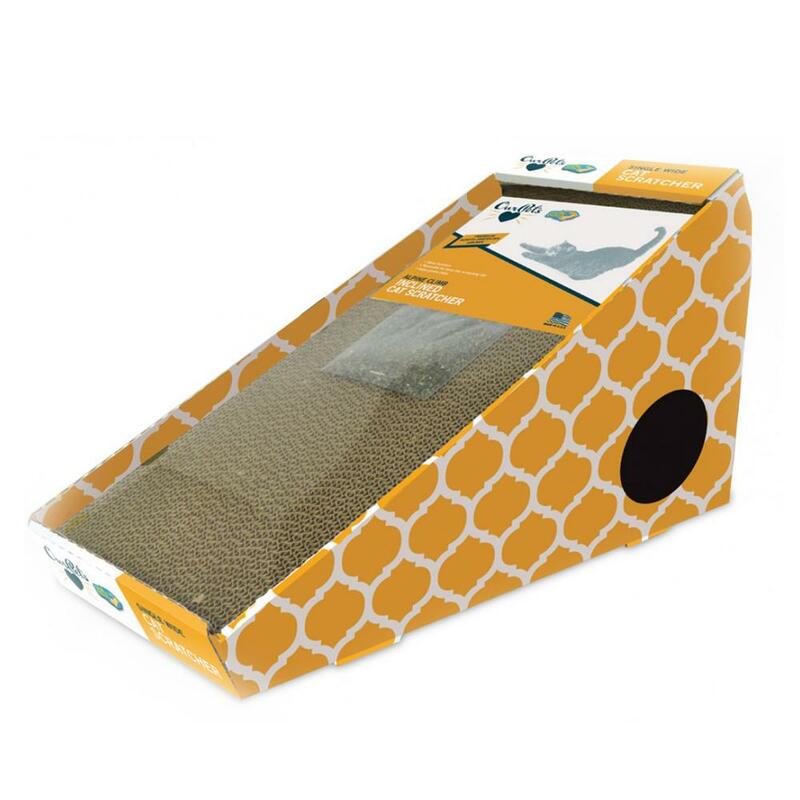 Cosmic Catnip Alpine Scratcher is a catnip-treated cardboard scratching block which is set on an incline for scratching & stretching! Cardboard scratchers are economical and are excellent at training cats away from ruining rugs and furniture. Corrugated cardboard has a "natural" feel for cats. It has holes to allow the cat to sink his or her claws into the scratcher (instead of the furniture) to help remove the old claw covers. As an extra bonus, there is a hole in the back and underneath where a carpet-covered mouse is suspended for your cat's pleasure. All you need to do is remove the plastic cover, and freshen the block with the included Cosmic Scratcher Blend Catnip. Can be reversed when showing signs of wear, and refill scratchers are also available. 20 inches long x 8-1/2 inches wide x 10 inches tall at the peak.